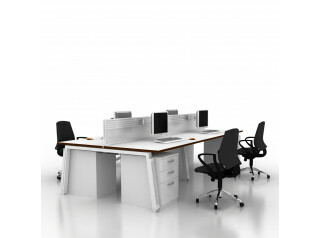 Linnea Single Bench Desks offers you end to end configurations of workstations with a shared leg. The Linnea Single Bench Desk solution is ideal where there is not enough space in the office for a double bench, allowing you to insert a single bench. 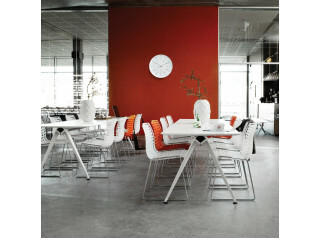 The Linnea Single Bench Desk features a clean design and a clutter free look. The optional horizontal cable tray can be unhinged in either direction, allowing complete access in any given situation. Cable trays can be easily installed or removed; they simply suspend from the under-frame. Cable Risers can be easily positioned and secured by the unique clip-on design. 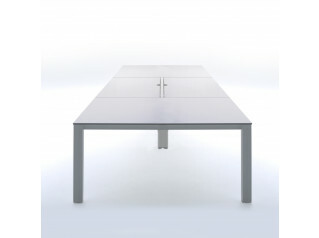 Positioning can be chosen by the user and applied to the inner or outer side of the bench desk leg frame. 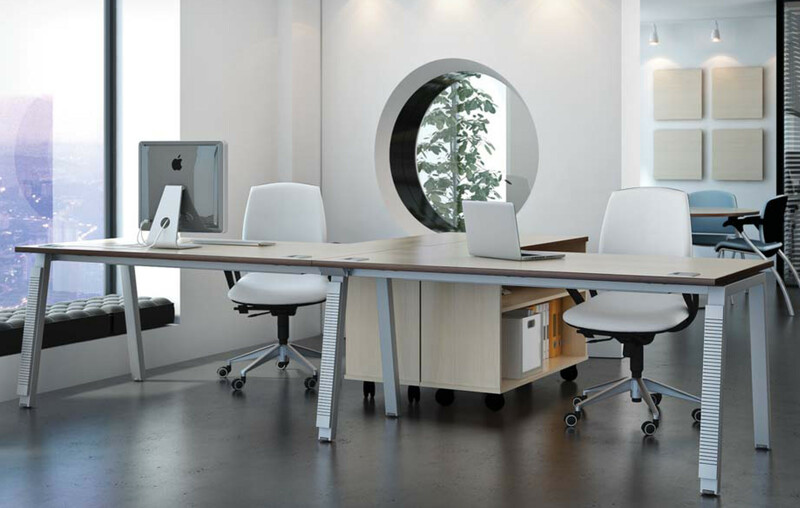 The Linnea Desk Collection comprises the Linnea Radius Reception Desk, Linnea Rectangular Desks, Linnea Elevate Bench Desking, and Linnea Bench Desks. You are requesting a price for the "Linnea Single Bench Desk"
To create a new project and add "Linnea Single Bench Desk" to it please click the button below. 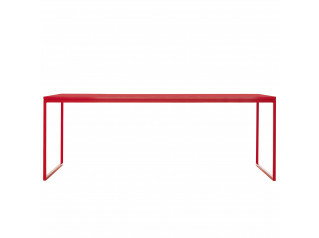 To add "Linnea Single Bench Desk" to an existing project please select below.